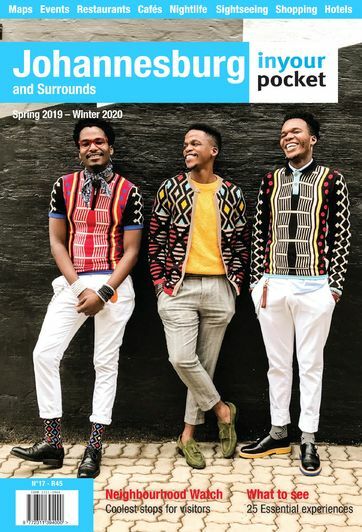 “Welcome home” is how you’ll be greeted when you visit Wombles, a institution since it first opened in Joburg in 2002. 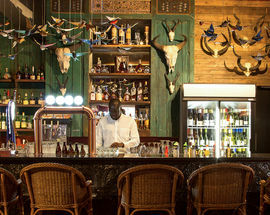 For many years the restaurant, with its plantation-style interiors, hearty menu items and excellent steaks was a fixture in Parktown North but in 2016 the Baker family and their experienced team of staff moved the restaurant to a new location in Bryanston, a perfect location in fact. 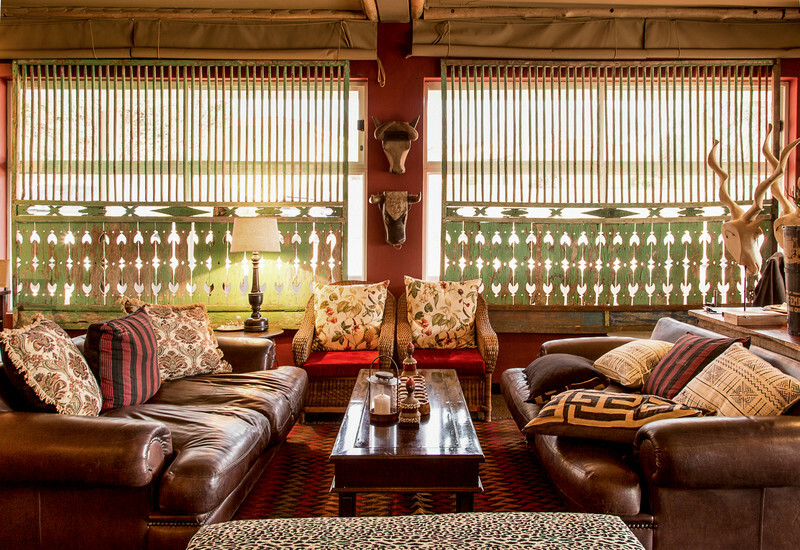 With two bars, a courtyard that has the feel of a safari lodge boma and four different dining areas (plus plenty of parking space) Wombles has embarked on a third chapter. From the moment you step through the gate you are part of a refined and genteel atmosphere, the décor transporting you from Bryanston to a grand lodge, filled with antiques, Persian rugs, fireplaces and comfortable couches. 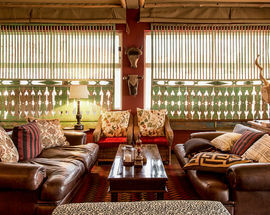 Animal print fleece blankets drape the chairs for cold nights. 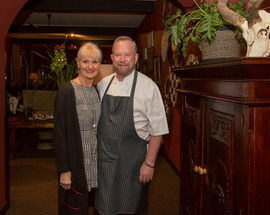 Originally from Zimbabwe the Bakers (Mr and Mrs) settled in Johannesburg in 2002 after running fine dining steakhouses (and a lodge) in Zimbabwe (opened in 1984), and then an award-winning restaurant in Australia. According to the Baker's children (four daughters) the name for the restaurant came from the 1970's TV hit The Wombles, based on the book by Elizabeth Beresford, partly because of bearded Duncan's resemblance to the affable furry creatures of Wimbledon Common, portrayed in the series. 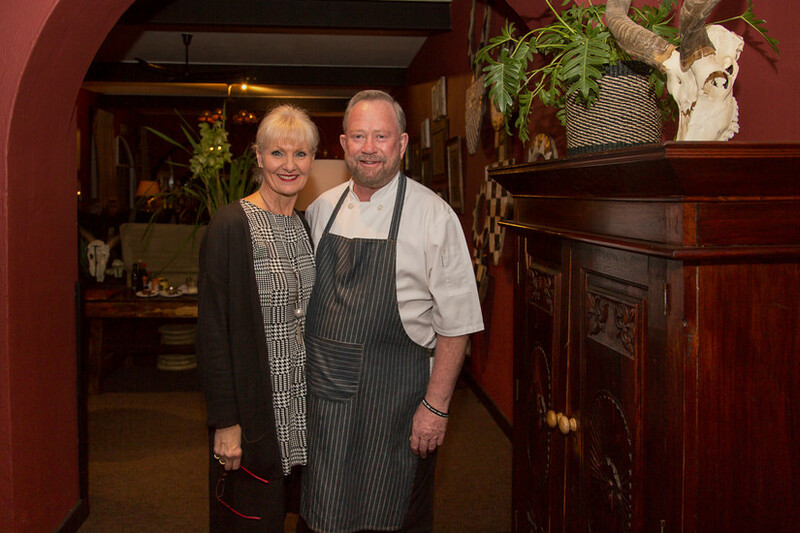 Duncan (a chef for close on 40 years) can be found at the helm in the kitchen, while Yvette Baker is front of house. On the night we visited Yvette was taking food orders from large parties seated at round tables across the restaurant, ever-present. With two head waiters and a small army of staff you are never left waiting, and service is attentive but never overbearing. In fact it's excellent, evidently polished over many years. The wine list is a study in elegant South African wines with many top-rated labels. A nice feature for those who struggle with decisions are the house wine options. The large and rambling space is transformed with moody lighting, ceiling fans, lots of flickering candlelight, grass place mats on the tables and impressive stemware. While the menu is varied, start with classics like king prawns in a garlic, chilli and coriander sauce, and a portion of chicken livers, accompanied by freshly baked mini loaves with a choice of butters – anchovy, garlic or plain. The marrow bones on toast also come highly recommended. At Wombles meat is the star of the show. The quality is excellent and the portions generous. While many restaurants boast of their high-quality grass-fed beef, Wombles quietly delivers on succulence and taste For mains try one of the the signature dishes, like the towering fillet on the bone in a bone marrow, red wine and porcini mushroom sauce. Sides are a choice between chips, mash, sweet potatoes, potato wedges and pap, and seasonal vegetables came as standard. The steak knives are the best of the best, Brazilian Tramontina designed for Brazilian barbecue. For those with adventurous palates the kudu, crocodile and ostrich carpaccio starter would give you a wild taste, and for the extra-hungry there's a 1kg rump. Desserts remain traditional, think crepe suzette and other 1970's delights, or order an Irish Coffee to end the hearty meal. If you do love dessert plan carefully as the food is generously portioned. Wombles has an old-fashioned (but something that should never be out of fashion) attention to detail, attentive service, and offers an authentic experience, that while upmarket, is never pompous, and is lacking in pretension. On the night we visited there was a diverse crowd of patrons, from tables filled with people in business attire, to round tables of friends enjoying a night out, foursomes of girls-night-outers, and couples enjoying romantic dinner. It's an unusual for one space to accommodate so many different needs and do it well. Wombles makes eating an occasion, not by having created a ridiculously over-priced menu, and spending all the attention on the setting, but by getting the basics right – great food, service and ambience. Open for lunch 12:00–14:30, dinner 18:00–21:30, Sat dinner only. Closed Sun. Last orders for starters and mains 21:30 (last drinks/desserts orders 23:30).